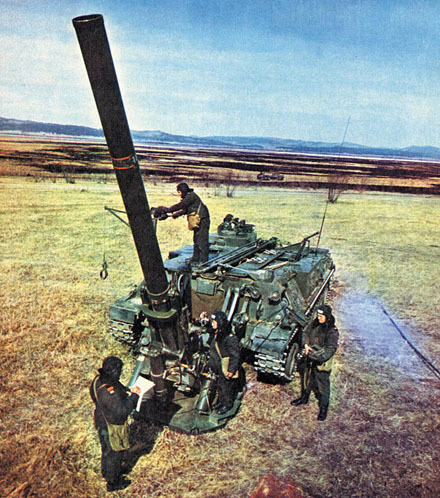 The 2S4 Tyulpan (often spelled Tulpan, Russian: 2С4 «Тюльпан»; English: tulip) is a Soviet self-propelled mortar. "2S4" is its GRAU designation. 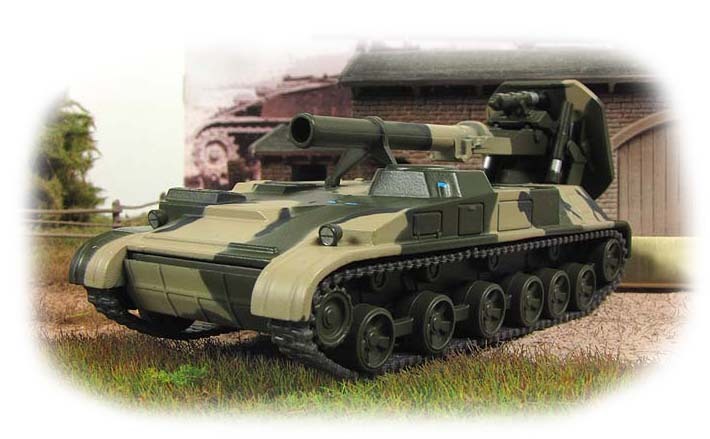 It was identified for the first time in 1975 in the Soviet army and so was called M-1975 by NATO (the 2S7 Pion also received the M-1975 designation), whereas its official designation is SM-240(2S4). 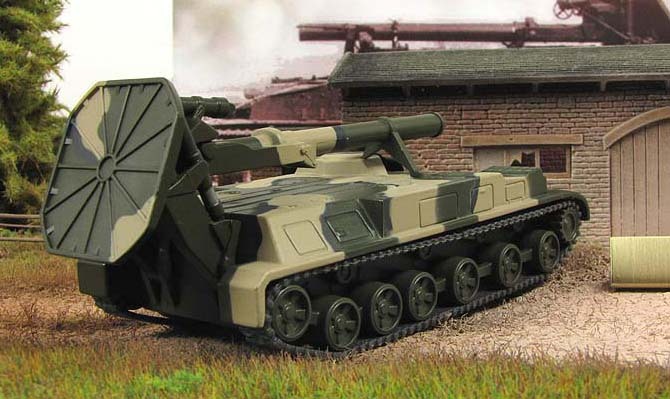 Its design is based on the GMZ tracked minelaying vehicle carrying an externally mounted M-240 240 mm breech-loading mortar on the rear of the hull. The crew consists of four men, but an extra five are required to operate the mortar. 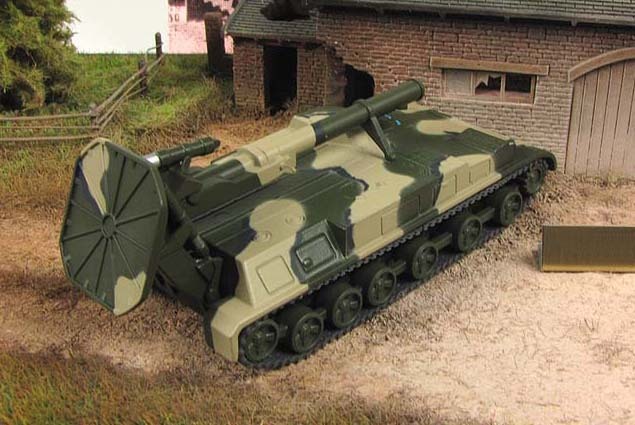 This has a range of 9,650 m but an extended range munition exists with a possible range of 20,000 m. Due to the large size of the weapon and the weight of the ammunition (130 kg for a standard projectile) it has a slow rate of fire: one round per minute. In addition to the high explosive bombs, it can fire armour-piercing, chemical and nuclear rounds. It can also fire the "Smel'chak" (daredevil), a laser-guided round. 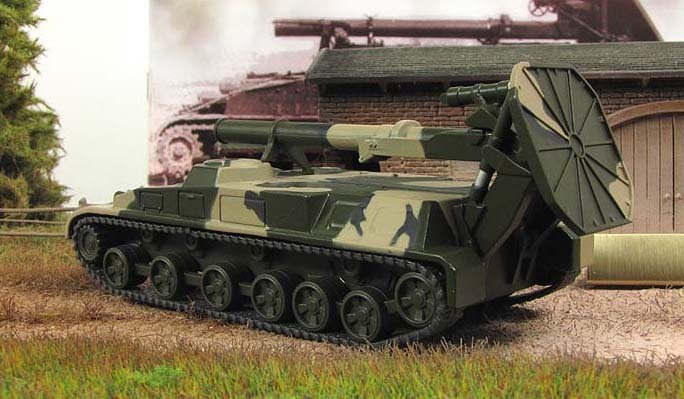 The Tyulpan is currently the heaviest mortar in deployment among any country. 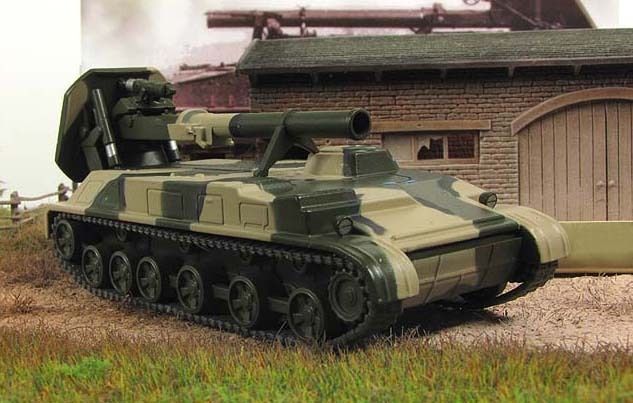 It saw action during the conflicts in Afghanistan and Chechnya. In both conflicts, the Smel'chak projectile consistently destroyed targets quickly, precisely, and with only a few rounds. The extreme firepower per round compensates for the Tyulpan's slow rate of fire. There were reports of the Tyulpan being used by the Syrian Army during the bombardment of Homs.